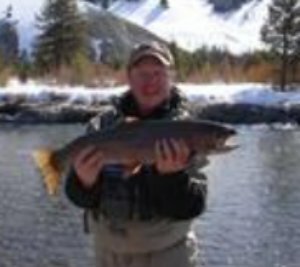 What makes Washington such a good place to fly fish is the varied types of fish available. Washington is well known for steelhead and Salmon fishing especially in Skagit and Skykomish Rivers. Many variety of fish can be caught with a fly. But there is also good Trout fishing and Steelhead fly-fishing. It is the fly-fishing for Steelhead that gets most people excited. The Steelhead runs are unforgettable, which increase the odds of hooking into one of these monsters. The trout fishing throughout the state is also pretty solid. There seems to be an abundance of Rainbow and Cutthroats that keep the angler satisfied. Throw all of this together with the beautiful Cascade Mountains and you are sure to have a great experience. Be sure to check the fishing regulations for any waters you plan to fish. 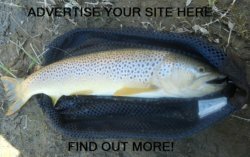 Click the link below each river to read more about it, see the hatch chart and / or map of the area. The Skykomish River is about 1 hour from Seattle. The river starts in the Cascade Mountains and the north and south forks join the main river around Index. It then flows through Gold bar and Sultan prior to joining the Snoqualmie River. The Skagit River is about 2 hours northeast of Seattle. The river starts in Canada and it dumps into Ross Lake, which is near Seattle. The Skagit River is well known for its tremendous fly-fishing of native Steelhead. The Methow River starts in the Cascade Mountains and dumps into the Columbia River at Pateros. It passes through the towns of Twisp, Carlton and Methow during its short journey to the Pacific Ocean. The Yakima River is the only blue ribbon trout stream in the state. The river flows through several reservoirs at Ellensburg and Cle Elum before ending at Rosa Dam. Is this the best river in the state? Read more about the Lower Yakima River. The Cedar River is about an hour and a half from Seattle. The river is catch and release only from Landsburg Dam to the mouth of the river at Renton. Because it is catch and release and the short season the fish in the Cedar River are considerably large for trout. Washington is a great place to fly fish. Click here to choose another state.